The Life Path Number is one of the most important numbers in your personal Numerology. The journey of life and path to spiritual growth can be complex, but if you understand the significant numbers and their expressions in your life, you will uncover the lessons you will encounter and the greatest areas for opportunity. Your Life Path Number is another example of the miraculous functions of Numerology. When we incarnate onto this Earthly plane, we come with the wisdom of the Universe within us; unfortunately, we go through a process of “soul amnesia”, which is the unavoidable process of forgetting because every second we are influenced by our physical reality. Luckily, one thing that will never change is our date of birth. We predestined this date before we arrived, choosing the astrological and numerical configurations that would compose our physical “self” and vibrational energy. You chose your birthdate, because numerically and astrologically, it held the inevitable lessons you needed to learn in this lifetime, to further ascend your soul to the essence of Source. Your Life Path Number is calculated using your date of birth, and can reveal intricate details about your spiritual and existential path. This obviously remains consistent throughout your life, so embracing your number and what it means for you will lead to a lifetime filled with acceptance and understanding, instead of conflict and struggle. To start calculating your Life Path Number, you need your month, day, and four digit year of birth. We add all of the numerical values together, to uncover the energetic weight of the birth date. It is important to note that there are different views on how to calculate your Life Path Number, and therefore, different variations on how to do so. This is typically dependent on whether you use the traditional method (Pythagorean) or the modern method, so I will give examples of both. As an example, we will use December 7th, 1983 (12/07/1983). The Life Path Number of December 7th, 1983 is a “Life Path 4”, either way you do it. 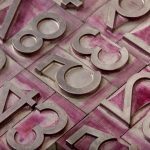 This is what makes Numerology so fascinating: numbers and math are constant, and two of the few unchangeable truths in the Universe. The first method is pretty straight forward. The second method involves reducing the month, day and year first, and then adding the digits together. Obviously, we can see in these examples that regardless of which method you use, you will always end up with the same final product once reduced. However, the biggest disagreement in Numerology (regarding which method to calculate your Life Path Number), revolves around the probability of arriving at a Master Number for the Life Path Number, (11, 22 or 33). Having a Master Number as your Life Path Number is truly epic; it signifies you have a much higher calling, as Master Numbers hold a miraculous energetic weight within them. Here is an example of the difference of the two methods, using a birthdate of April 26th, 1983 (04/26/1983). As you can see, Method One ends up with a Life Path Number of Master Number 33, while Method Two equates to a Life Path Number 6. Many Numerologists prefer to use Method Two, as it reflects the fact that ending up at a Master Number Life Path Number is much more rare than when using Method One. However, others suggest that the date of birth we predestined in this lifetime holds all of the numerical values and energetic weight of the entire date, and thus Method One is preferred (and it is still rare to arrive at a Master Number Life Path Number, anyway). If your birthday is 04/26/1983, and you utilize Method One (and do not reduce the numbers before adding them together), it is widely accepted to consider yourself a “Life Path 33/6”. Understand that you have a Master Number Life Path 33, and that is incredibly powerful. However, you also hold the energy of a Life Path 6, making your journey that much more complex and meaningful. For more insight as to what your Life Path Number means for you, take a look at our articles on the Numerology of each of the cardinal numbers, one through nine, here.